On July 24, 2017, by order of the Russian National Institute of Philosophy No. 676 of July 24, 2017, Dmitry Dmitrievich Minayev was appointed director of the Special Research Bureau for Automation of Marine Researches, Far Eastern Branch of Russian Academy of Sciences . Ground and underwater robotic complex. Checking algorithms that implement management. Connected autonomous mobile robotic complexes of surface and surface basing. Experimental sample of a surface robotic complex. Drastic changes in traffic conditions. In order to widely inform representatives of international organizations, national services, the scientific community and the public about the results of research and development in the field of life safety, reduce risks and mitigate the consequences of natural and man-made emergencies, ensure fire safety and safety of people in water bodies, and Expanding the range of attracted representatives of small and medium-sized businesses, specialized specialists in the field of security Population and territory EMERCOM of Russia will hold the International Salon of Security Tools “Integrated Security – 2017”. Based on the results of voting at the General Meeting of the SRBA of MR FEB of RAS employees, on May 10, 2017, Minaev Dmitry Dmitrievich, Candidate of Technical Sciences, was elected the Director of SRBA of MR FEB of RAS. Deputy Director for Research, Head of the Laboratory of Computational Hydromechanics and Oceanography SCB ATMR FEB RAS Candidate of physico-mathematical sciences Zaycev Andrey. The elections are scheduled for May 10, 2017 in the building of the SRBA of MR FEB of RAS at Yuzhno-Sakhalinsk, Gorkogo Str. b. 25. Congratulations on the Day of Russian Science! Feb 8,2017 Comments Off on Congratulations on the Day of Russian Science! Congratulations on your professional holiday – the Day of Russian Science! On this day, we wish you new discoveries, constructive ideas, inexhaustible energy, success in scientific work, happiness, goodness, peace, good health and prosperity to you and your family! Dec 31,2016 Comments Off on Happy new year 2017! May the coming year bring many pleasant events and happy moments. Let new perspectives and tasks come true! We wish you good health, good luck and love to you and your family! 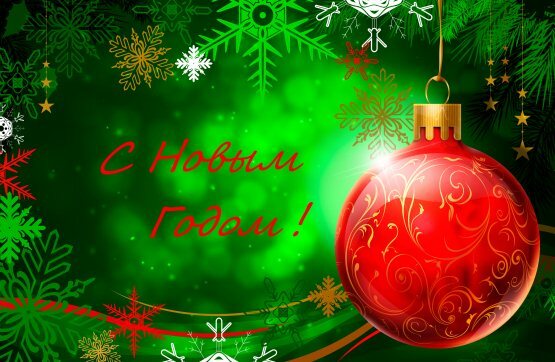 Good mood and fulfillment of the most cherished desires on the eve of the New Year! In this paper, a mobile robotic complex for monitoring the coastal zone and the results of a hydrodynamic measurement system using remote sensing methods using a radar station transported by a ground mobile robot are presented. An overview of existing land-based mobile coastal zone monitoring systems is provided. The results of studies of the intensity of sea waves and, accordingly, the determination of the parameters of wind waves in the coastal zone of the Sea of ​​Okhotsk are presented. The technique of carrying out experimental and theoretical studies of the terrain and the physical and mechanical properties of the track can be reported, the data of which can be used to predict ways to improve the performance of mobile robots monitoring coastal areas. Autonomous mobile robotics complex allows to execute the following volume of experimental researches. Measurements of the intensity of reflection of waves by means of a radar, as well as measurement of the state of the atmosphere (atmospheric pressure, temperature, relative humidity, wind direction, wind speed). Perform typical maneuvers in unmanned mode: movement along a given corridor at short distances and long distances, curvilinear movement along a given corridor (turn, “snake”), movement to the control point and back, movement through control points. To make an estimation of weight parameters AMRC, force of resistance to movement, traction force on coupling, force of lateral shift, maximum angle of lifting of the machine, dynamic qualities of the machine, smooth running of the machine, fuel efficiency, angle of transverse static stability.